Become an accredited Energy Smart Green Tradie! Zero-energy and carbon positive buildings are fastest growing sector of the building and construction industry. It's no longer business as usual. Tradies who understand building science and have the trade skills to build highly energy efficient buildings are in high demand! Upskill yourself and become a leader in your industry. This unit of competency specifies the outcomes required to undertake a trade using techniques and practices aimed at achieving high levels of energy efficiency in the finished work. Energy efficiency requirements may be specified by legislation or building codes, or commissioned by a client or a site manager. 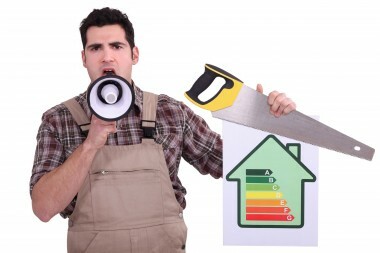 This unit of competency applies to builders and tradespeople who identify opportunities for energy efficiency gains in a building and apply energy efficiency techniques in residential and commercial construction work. This unit includes practical tasks that must be performed on a real or simulated work-site. Outcome: This unit of competency counts towards Certificate IV in Building and Construction. Statement of Attainment issued by Masters in Building Training RTO 40666. Residential and commercial sub-contractors who successfully complete this unit will be offered a free listing on the Green Building Institute directory.